Dukan diet is one of the restrictive weight loss diets, developed by French nutritionist and Doctor Pierre Dukan over ten years ago. 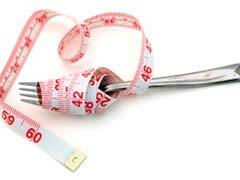 There are four Dukan diet phases. The diet advocates consumption of protein while severely restricting fruits, starchy vegetables, grains and nuts. This phase is the no-carb Dukan diet phase and can last from a day up to 10 days, depending on your weight loss goal. You can expect to lose ten pounds within the first five days. In this phase you are allowed to eat only protein with no calorie seasonings. For fiber, having one and half spoons of oatmeal is recommended. Lean meats, low fat diary, any kind of fresh fish and unlimited egg whites are the foods to eat. Drinking water is very important in this phase to avoid side effects such constipation and bad breadth. In this phase you will work to reach your target weight. You can choose to alternate a pure protein day with a protein vegetable day. A steady weight loss of 2 pounds per one week is acceptable during this phase. Moderate exercise and 2 spoons of oat bran are recommended. Vegetables included in the Dukan diet food list are low calorie veggies such as asparagus, tomatoes, broccoli and celery. This phase is about controlled way to resuming healthy eating as there is risk of gaining the lost weight back. One portion of fruit, 2 pieces of whole grain bread, 40 grams of cheese, 2 portions of starches, lentils and beans, celebration meals twice per week are allowed. If you are a woman, you can follow a healthy 1200 calorie diet plan for women that can assist with healthy weight loss. The Stabilization phase: Resume normal eating but follow the guidelines for the consolidation phase and keep Thursdays as you pure protein days. If you don’t want to choose restrictive dieting, you should consider other popular calorie shifting diet plans that can be very effective.